A new patch has been released for Hitman, adding a host of improvements to the base game and laying down some groundwork for the upcoming Sapienza episode. Though the patch will only land the day before Sapienza’s release for console players, it’s downloadable on PC right now. Feels good. Sandy beaches, a mansion, church and a hidden biolab – Hitman’s Sapienza would be right at home in our list of PC sandbox games. One of the main features of the pre-release patch is the ability to reconnect when you lose an online connection without resetting your progress in a mission. This fix will also apply to Agent 47’s Parisian excursion and the preceding training missions. You can also enjoy improved loading times across all locations. And if you want to go back and mop up the remaining Challenges in Paris, things should be a little easier now, as Challenges are now awarded upon their completion, rather than completion of a mission itself. Additionally, if you hate how wordy the Challenges are, there’s now a setting for verbosity, allowing you to decide how much information is shown. This level of customisation also extends to the weapon HUD, which now allows you to decide whether the HUD shows the weapon equipped and the weapon holstered, just the weapon equipped, or even no weapon HUD at all. It’s not all about taking things away, though. Any dropped items and weapons will now appear on the in-game map. Now I can finally find where Helmut Kruger dropped his damn phone. There’s also a new animation for Agent 47 holstering a small item, like a pistol… Or a phone you just scooped out of a bush. Us PC players aren’t just getting the patch early either, as there are a few PC-specific updates, like the game suggesting recommended graphical settings based on your rig setup. You can also change the resolution in windowed mode now, which is handy for all you streamers out there. Audio levels in cutscenes and briefing videos should now match the in-game audio as well, so you won’t be startled with sudden loudness like an annoying YouTube advert. Key binding inconsistencies should now be fixed, too. Yay for PC. 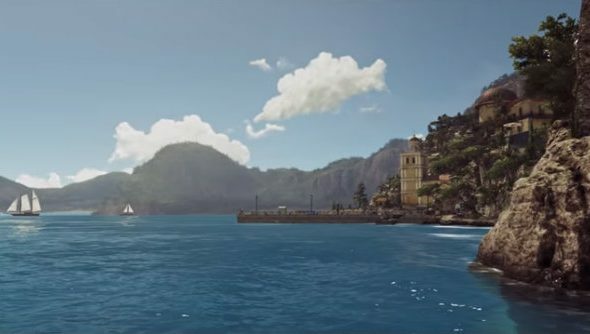 Sapienza releases on April 26 and features a new story mission, along with 20 levels of mastery, unlocking starter locations, weapons and gear. According to the patch notes, “live content for Sapienza will include: new Escalation Contracts, Elusive Targets & new Featured Contracts (Contracts Mode)”. So Contracts Mode and Elusive Targets are coming with the next mission then, which is a bit later than the Elusive Targets delay announcement suggested. Check out the full patch notes on Hitman.com.